How do I use BuzzTV? 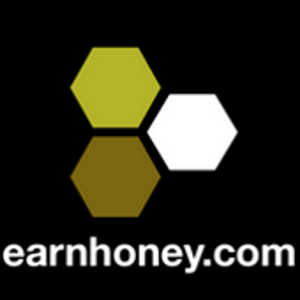 EarnHoney has partnered with many top websites to offer a product experience similar to Taboola or Outbrain. This new product is called BuzzTV. 1. Click "Watch and Earn" on the left menu after logging in. 2. Select one of the BuzzTV offers. 3. Every partner has a different level. Some offers are once-a-day, and some offers are per-video-view. The once-a-day offers will automatically disappear after you click, and will repopulate come midnight GMT. 4. Please read detailed instructions for each offer by mousing over the offer icon. 5. Some partners require to go to their social media page and go to their website from there. Just look for the link to the main site. 6. Once you are at the partner site, to confirm you are being credited properly, please look for the Viewability Circles. If they do not show up while watching videos, please try steps #1 to #5 again. Otherwise, please contact support. 7. Your new credits will automatically show on the top EHC menu bar (after page refresh) or in your EarnLog after 24 hours. Current video site partners are experiencing 3x the fill rates (HINT: 3X the earnings/hour), so it is a good time right now to combine with the 200 HD$ free with 100 HD$ earned promotion. I was wondering when do I earn the free 200 HD$? Yesterday I earned 134 HD$ on matchedcars.com through buzz tv but I have not recieved my free $200. You will need to send an email to support or open a support ticket here with your userID and dates earning more than 100 HD$. It's not automatically done when I earn that amount? Could it just be that It takes a couple days to show up? Is this promotion per day or only a one time thing? I watched matching cars video for a hour but i didn't receive any honey dollar to my account can u explain why? i have been watching matching cars for hours and hours but at the end i end nothing,is it something i must be doing wrong?and also i have never ever saw my view ability can u guys please help me out.